Smiling Girl Dressed In School Uniform Collects Lunch For School In The Kitchen. Child Puts Sandwich In The Lunchbox. Next To The Lunchbox Is An Apple. Kid Himself Prepares For School. Back To School. Lizenzfreie Fotos, Bilder Und Stock Fotografie. Image 102851380. 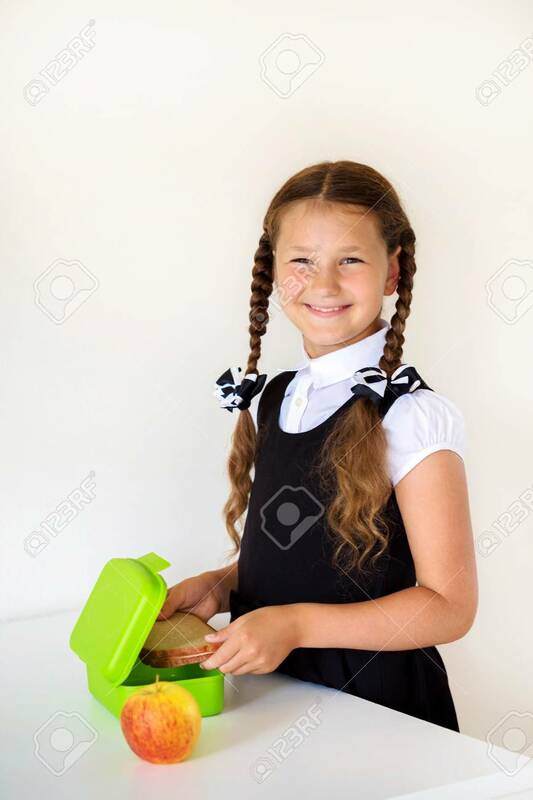 Standard-Bild - Smiling girl dressed in school uniform collects lunch for school in the kitchen. Child puts sandwich in the lunchbox. Next to the lunchbox is an apple. Kid himself prepares for school. Back to school. Smiling girl dressed in school uniform collects lunch for school in the kitchen. Child puts sandwich in the lunchbox. Next to the lunchbox is an apple. Kid himself prepares for school. Back to school.